Dolby Laboratories' shares were down this morning after the company disclosed yesterday that its technologies are not present in the current builds of Microsoft Windows 8. The company said if this does not change, it will choose to support DVD playback by licensing technologies directly to PC manufacturers, OEMs, and software vendors. We work with operating system providers, ISVs and OEMs to support DVD on the PC. In recent years, our mix of PC licensing revenue has increasingly shifted towards the operating system as our technologies are included in 4 editions of Windows 7. However, we have recently learned that our technologies are not currently included in the Windows 8 operating system under development. If our technologies are not included in the commercial version of Windows 8, we expect to support DVD playback functionality by increasingly licensing our technologies directly to OEMs and ISVs, and we will seek to extend our technologies to further support online content playback. In Windows 7, Microsoft included support for the Dolby Digital Plus technology. This allowed DVD playback of up to 7.1 channels of HD surround sound. It's not clear if this means Microsoft is planning to license DVD Playback software from another vendor for Windows 8 or if the software giant is going down a completely different path. One thing is clear though: Microsoft has put Dolby in a difficult position. While normally we wouldn't come to such conclusions based on early builds (remember: Windows 8 is not even in beta), it's important to remember how Microsoft develops Windows. 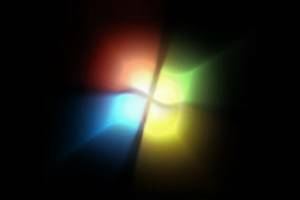 The company always takes the previous version (Windows 7 in this case) as the starting point and then works from there. As a result, Dolby's technologies were consciously removed, and while it's possible they can be added back, right now it's doubtful this will happen.